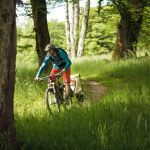 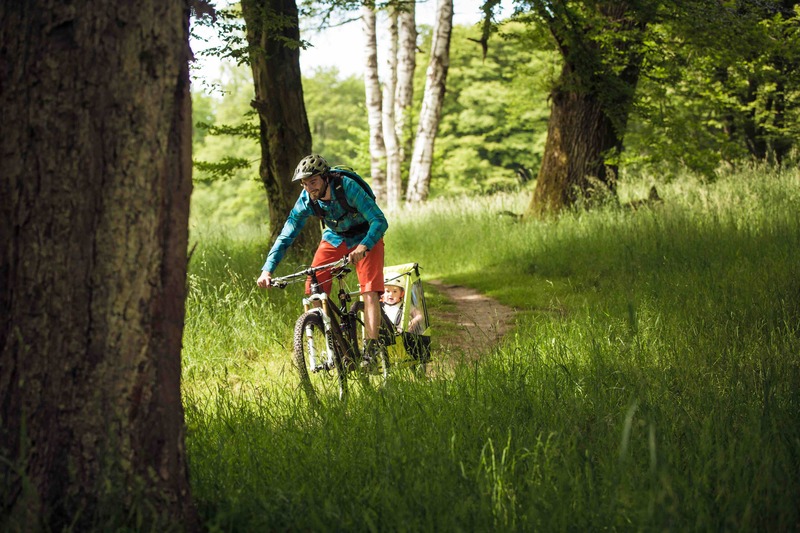 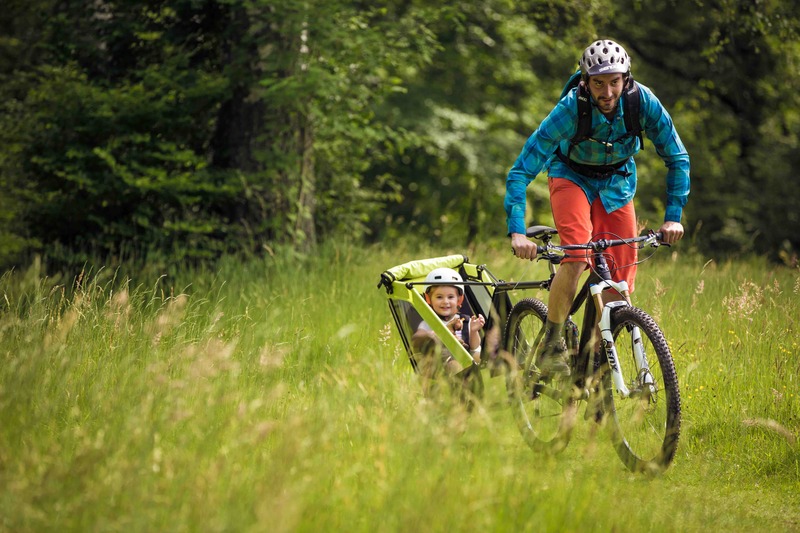 The Singletrailer is the ideal bicycle trailer for all riders who want to enjoy the countryside and mountains together with their families. 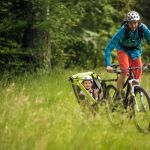 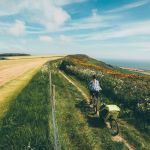 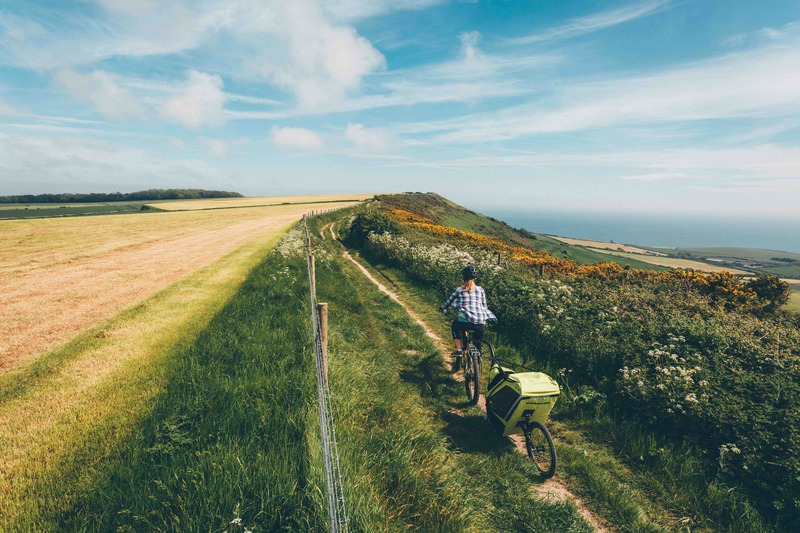 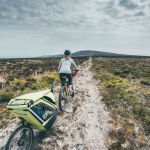 Whether you are taking a gentle ride around the local lanes or planning a full on tour on the roughest of terrain the Singletrailer is the perfect solution. 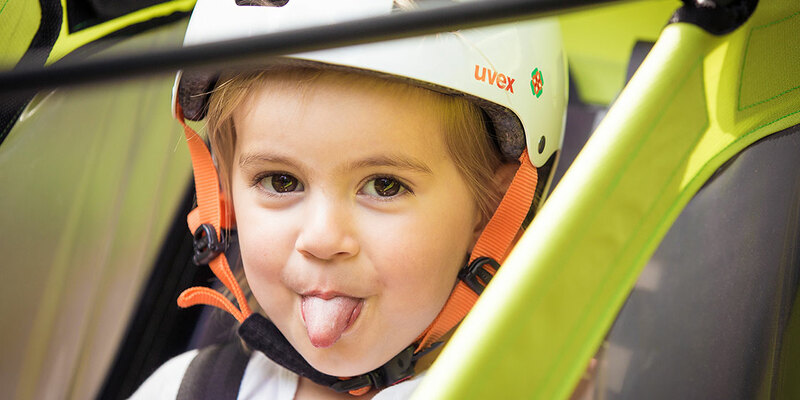 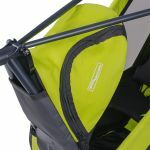 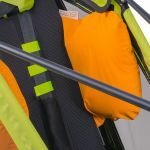 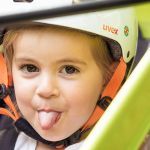 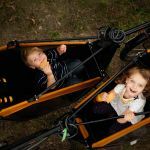 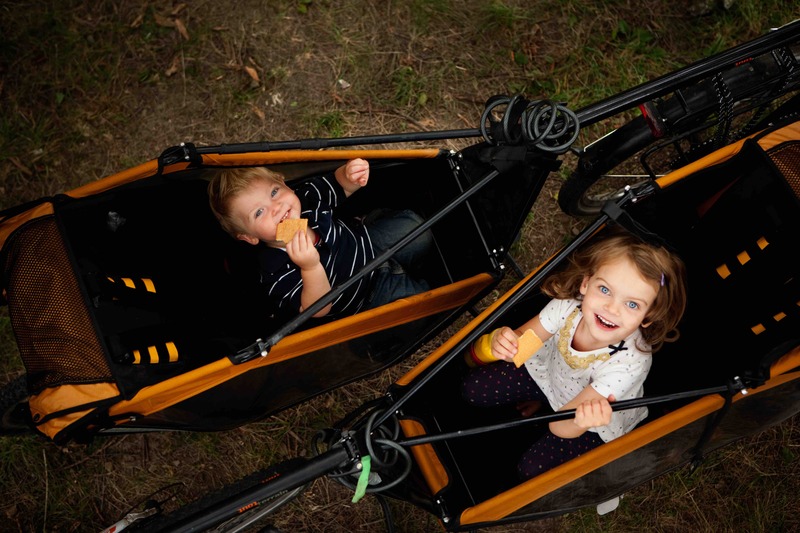 Your child sits, gently suspended and cushioned (travel 200 mm), in a chassis produced from extra light but highly durable CrMo steel with a roll bar. 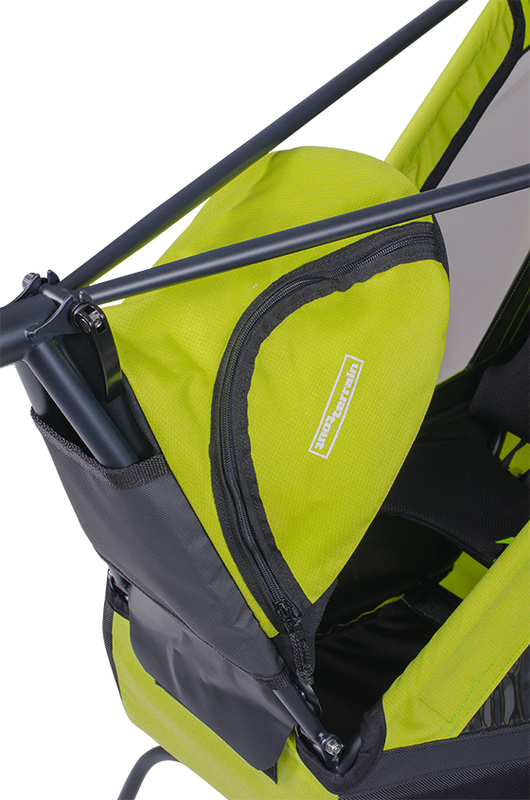 The five point seat belt ensures additional safety. 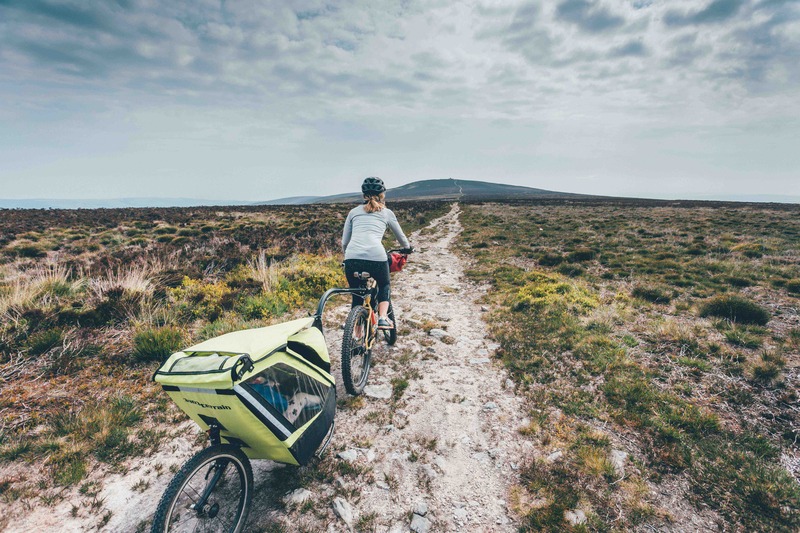 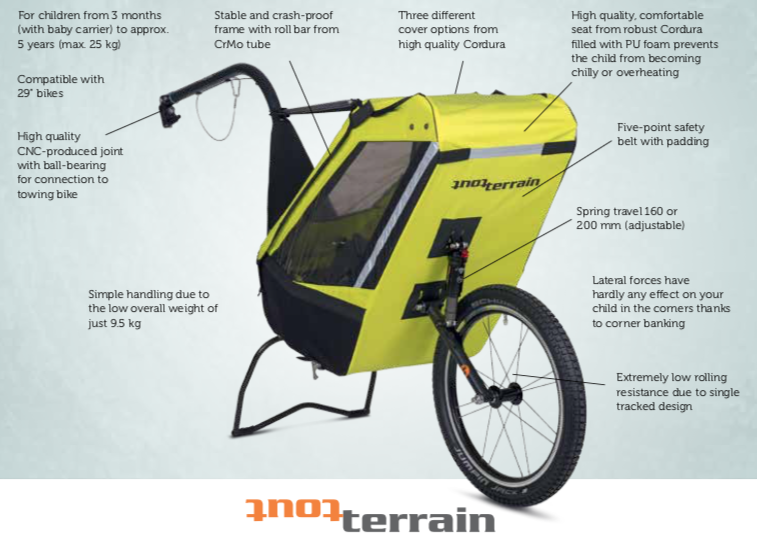 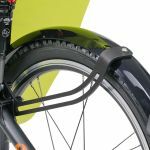 The Singletrailer is just 45 cm wide and therefore narrower than your mountain bike and additionally it weighs only 9.5 kg. 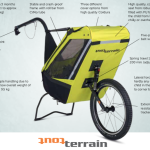 Triple securing of the singletrailer/bike connection by a quick release cotter pin connection as well as a safety rope. 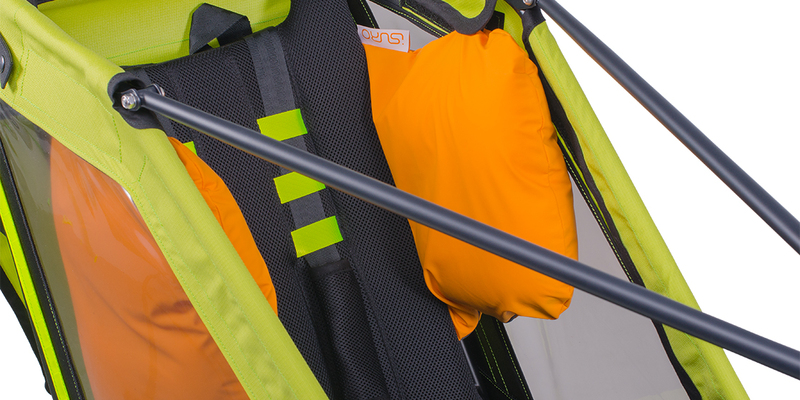 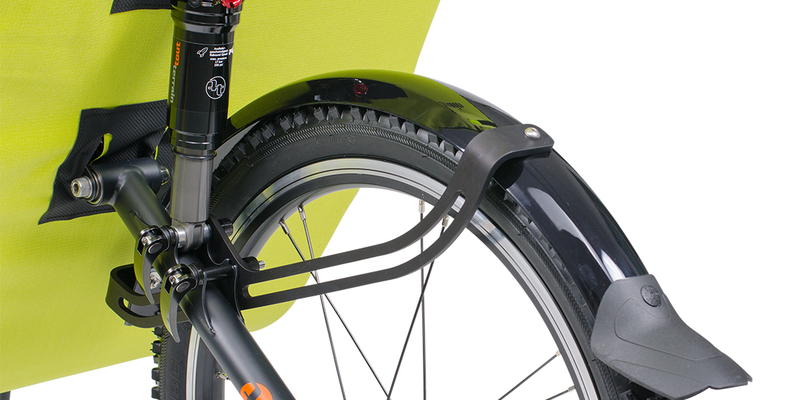 Bright visible colors in conjunction with reflective strips on all sides providing maximum visibility in the dark.